Aquarelle (watercolor) is Anders Ramsell´s choice of material for animation. Each picture is painted with brush, water and pigment on paper. Each painting is then scanned and edited to moving sequences, containing twelve individual paintings per second film real. 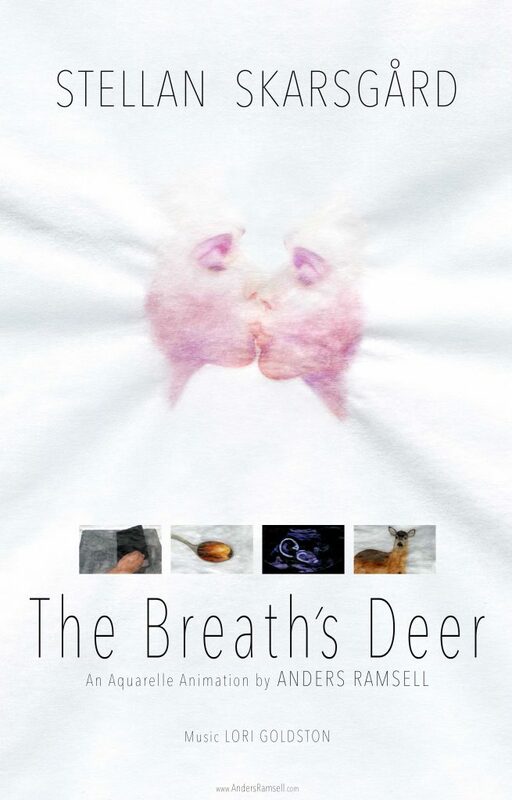 – The questions entering your mind watching this film is my statement about gender. Though the word “statement” is flawed because it implies that something is fixed, I still use it. Because all your questions are equally important and they were also mine once, as I found my self choosing to be either man or woman only to realize I do not have to choose – I can be both, says Anders Ramsell. 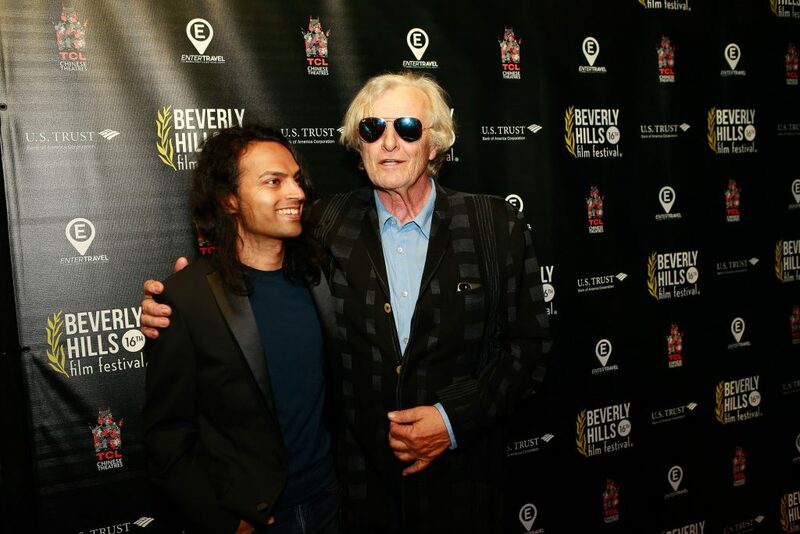 Anders Ramsell and Rutger Hauer at the premier of Genderness at the Chinese Theatre in Hollywood. The auto-portrait is omnipresent. Rutger Hauer does the voice over in Genderness, whilst visually the viewer watches an animated version of Ramsell i.e. Hauer takes on the role of Ramsell. Genderness actually marks Hauer´s very first role in an animated film. He has never felt the process being creative enough, but with Genderness it was something else, Hauer explains – it was interesting like a mystery. Genderness, saw its world premiere in Los Angeles and it was screened at The Chinese Theater in Hollywood as a part of the official program of the 2016 edition of The Beverly Hills Film Festival. The European premier was held at Sweden´s official festival, Gothenburg Film Festival in 2017. Rutger Hauer, who did one of the leading roles in Ridley Scott’s Sci-Fi classic Blade Runner contacted Ramsell after seeing the artist´s own aquarelle paraphrase Blade Runner – The Aquarelle Edition, that is how they ended up working together. Blade Runner – The Aquarelle Edition, has since its release in 2012 for example been screened at the Van Gogh Museum in Amsterdam.